March Magic - A Month Of Manifesting Miracles! Welcome to March Magic! 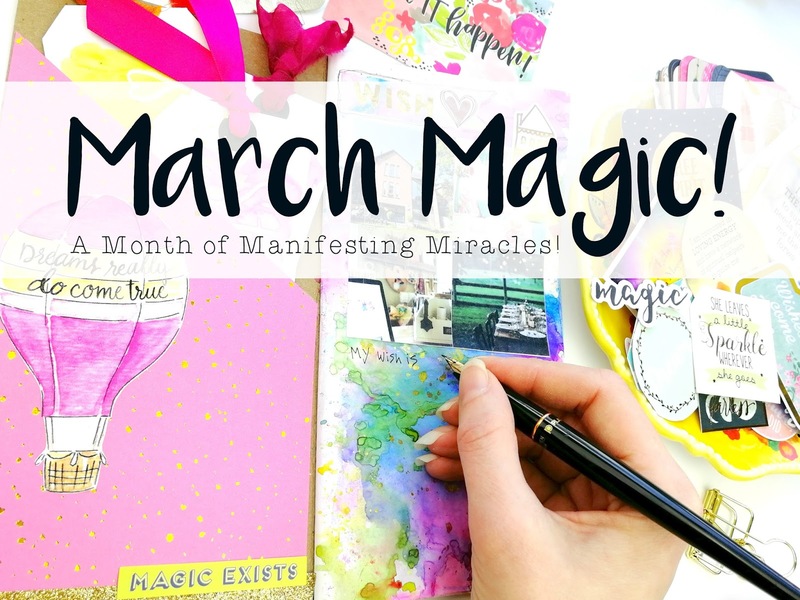 Let's make March a month Of Magic & Miracles! Earlier this month, as I started my morning routine of coffee, reading and meditation, a stream of thought came to me. I know when I'm about to "download" something so I quickly start writing. Pages upon pages later March Magic was born. I knew it wasn't just for me by what I had written down. It was for others who are willing to believe and commit to it. I eagerly shared with Jeni and Kelly, team members of Dream Create Journal, and they were keen to get started themselves. There is magic in the ordinary. 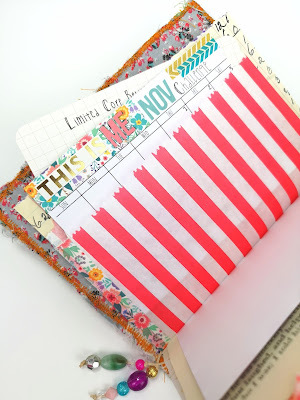 Putting EXTRA into the ORDINARY every day creates EXTRAORDINARY! 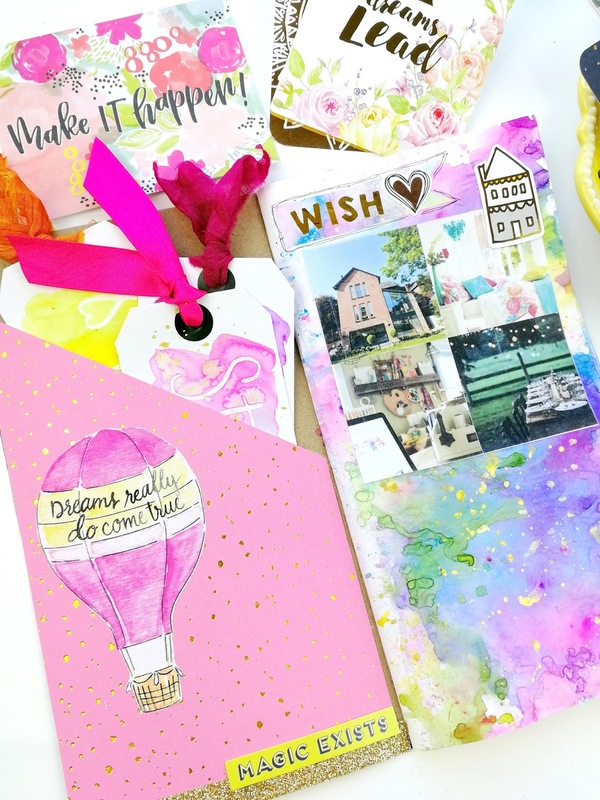 This is going to be a bold statement, but I believe this is an opportunity for us to focus on ONE wish or dream in particular, no matter how big, small or seemingly "impossible", with the aim of manifesting it in a month. That or kick-starting it big time! I told you it was a bold statement. But that's what I got as I was writing all those pages. For those who feel led to do this, we will be a community supporting one another in their dream taking part in the daily exercises. Like a team of midwives birthing each others dreams. No outward change can occur without an inner one. Yet sadly, so many do not invest into this inner work and therefore do not see their dreams come to fruition. Or they work on trying to change the outer conditions alone, not knowing that it is what is within that produces the change. March Magic is a month of intensive investment into ourselves and one particular dream. This is strengthened and kept going when combined with the year long L.I.F.E project which focuses on growing into our true selves. Yet it doesn't have to take up a lot of time. It does however have to be prioritized time. A part of manifesting our dreams is to unlearn old, negative, untrue, thought patterns and replace them with faith filled, believing, positive, life affirming ones. March Magic will incorporate that into each daily task. Small print over. Now for the fun bit! On February 28th, I will post the first blog post. We will start March 1st but I want you to have the exercises the day before so you can prepare for them. It is then up to you how much time you invest into this. A photo/printed image that represents the one dream you want to focus on. A box. 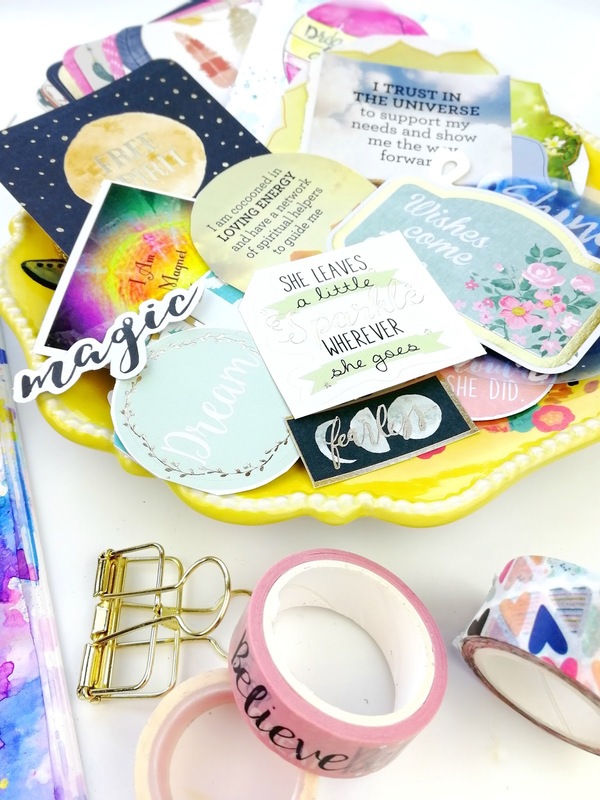 Big enough, but not too big, to hold items that relate to your dream. Myself, Jeni and Kelly are getting a head start so will be able to answer any questions you have and will share our insights. Be prepared for this to be an adventure. You will face resistance at times and we will address that around day 15-16. Also resistance doesn't have to be in your face big. It can be tiny thoughts such as "Come on, be realistic here." They are the kind of thoughts passed on to us that we want to unlearn. That will be an ongoing thing beyond the scope of a month, but we will be well on our way by the end of March! Be prepared also, for signs, sychonocities and for your dream to manifest...maybe even before the month is out! 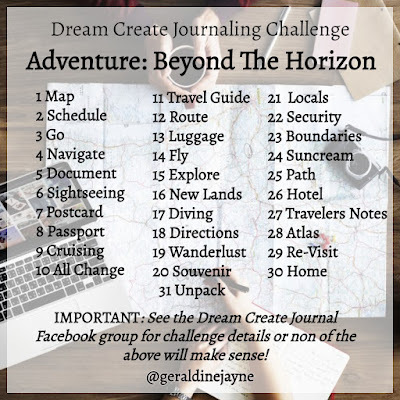 We will have a post in the Dream Create Journal group set aside for all those taking part to share their testimonies to all these things! To join the FB group, click HERE. So, with all that said, who's in? I'm definitely in. Husband recently passed and I can get back to my plans of opening a business.